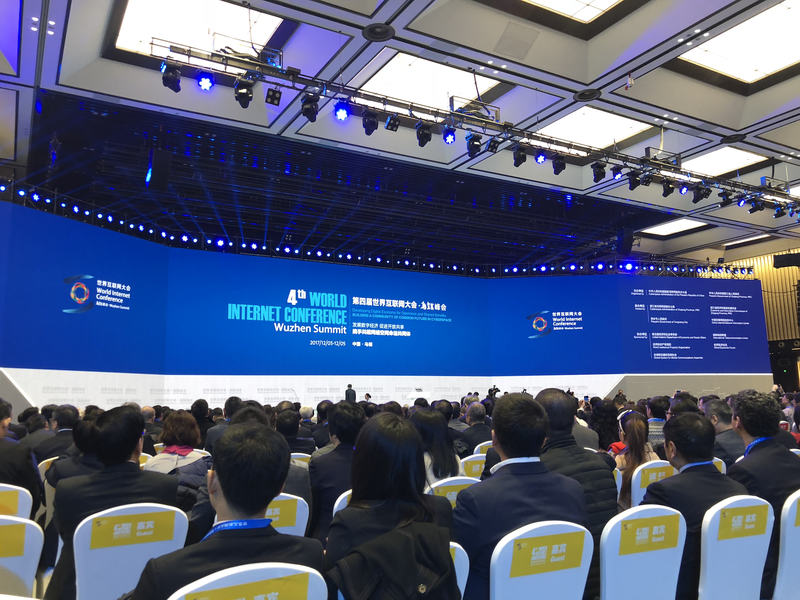 With the Chinese government-sponsored World Internet Conference (WIC) convening for its fifth meeting this week, observers will once again be offered a window into China’s tumultuous Internet industry, Chinese leadership thinking on cyberspace, and foreign company postures toward Beijing’s policies. But will the WIC—held annually in Wuzhen, Zhejiang, since it was initiated by Chinese leader Xi Jinping in 2014—live up to its name as a true world conference? The gathering has historically drawn different types of participation from different quarters. 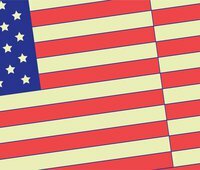 Among governments, U.S. officials are especially wary of being seen supporting the event’s aura of cyber propaganda or a Chinese-led alternative to Washington’s preferred multi-stakeholder model of Internet governance. The U.S. government has thus previously sent low-level embassy officers from Beijing or Shanghai. Meanwhile, Central Asian countries and Russia have sent high-level delegations, for instance including Russian Prime Minister Dmitry Medvedev in 2015. Europeans have been slightly less disdainful than their U.S. counterparts, sending teams of mid-level officials from the European Commission to document the event in detail and report back. Western private sector attitudes towards the WIC are reflective of the prevailing political winds. Companies balance the fear of being seen as too close to the Chinese government against the fear of appearing too far away. Much therefore can be gleaned from the level of representation of key tech firms at the WIC. The third WIC, in 2016, featured few top-level Western tech CEOs, but the fourth edition, last year, drew a veritable quorum. Among those giving keynotes or sitting on panels were the CEOs of Apple, Cisco, and Google. Other Western companies sent lower level officials to participate in various sector-themed panels and roundtables. The event has typically featured a taped appearance by Xi Jinping himself, each time delivering a series of exhortations and slogans new and old, giving life to now well-worn phrases such as “building a shared community of destiny in cyberspace.” Xi is rumored to be considering making a personal appearance this year, something he has done only once before. If he does, it would add weight to the message he delivers. Given the current state of U.S.–China relations and Xi’s recent efforts to assure China’s private sector that the government is not going to nationalize leading firms, it seems likely that Xi could make an appearance and reiterate these themes. There will, of course, be other speeches. For last year’s opening plenary, the Party dispatched its top ideologue Wang Huning, who gave his first major speech on the internet (one that DigiChina translated in full). Wang waxed eloquent about the need for data to flow across borders, perhaps seeking to calm foreign business fears emerging from China’s evolving data governance regime. But the text of the speech was never officially released in full, limiting its potential effect as well as Wang’s prominence in cyberspace governance. Wang’s speech nonetheless stood out in part because the Chinese official line-up was otherwise dominated by the dour and distinctly uncolorful Xu Lin, who had replaced the bombastic and now disgraced Lu Wei as head of the Cyberspace of Administration of China (CAC), the nominal host of the event. This year, Xu in turn has been replaced by Zhuang Rongwen, whose short tenure so far as CAC chief has produced few public signals beyond an essay emphasizing CAC’s propaganda mission, also translated by DigiChina. Regardless, a Zhuang speech will likely provide hints about the direction and progress of implementation of the system surrounding China’s 2017 Cybersecurity Law. An annual “closed door” session on cybersecurity policy has provided some of the more interesting substantive moments at the WIC, with a senior CAC official patiently listening to foreign corporate and government concerns about market implications of the Cybersecurity Law, and providing at least some sense of CAC’s thinking on key issues such as cybersecurity reviews of network products and services, definitions of critical information infrastructure, and data governance issues. This year CAC Is likely to be less forthcoming, given the leadership changes, U.S.–China tensions, and ongoing bureaucratic turf battles—though foreign businesses are eager as ever to hear more about measures CAC released in 2017 on cross-border data flows. Beyond rhetoric and nuts-and-bolts policy, the WIC is also a showcase for China’s official technological ambitions and the visions of its top internet companies. Artificial intelligence (AI) is sure to be a focus of both official ambitions and private-sector bravado. This year’s WIC comes the week after Xi convened a Politburo study session on AI, which emphasized the strategic importance of AI for the Party and country, and the need for China to develop and control AI technologies. Last year was no different, featuring a three-hour session on AI that built on a major leadership boost for the sector in Xi’s Work Report to the 19th Party Congress and the release of the State Council’s New Generation AI Development Plan (AIDP), which DigiChina has translated. Last year’s AI forum featured a surprise appearance by Andrew Ng, a deep learning star who had recently left his post leading AI efforts for Baidu while based at the Chinese company’s Silicon Valley lab. Ng took the stage with the CEOs of half a dozen Chinese AI startups, who portrayed the Chinese government as understanding AI, and the AIDP as a forward-leaning document. Then all the CEOs touched a screen in the background, setting off a literally flashy light show to capture the heights China’s AI sector was bent on achieving. It was a bit of hype designed to impress that China is an up-and-coming player in AI, but none of the startups included, such as Horizon Robotics and Cambricon, are sure bets to succeed globally in a very competitive sector. Despite some prominent Chinese and foreign appearances, and a big show each year, the WIC has so far struggled to live up to the title of being a “world” event. The politics surrounding major questions such as internet governance get no serious discussion; proponents of the current multi-stakeholder model (favored by the United States and others) and those preferring a multilateral, state-led approach (favored by China and others) have minimal substantive interaction. Indeed, the WIC’s potential for true international engagement may have been irreparably squandered from the outset in 2014, after Chinese officials tried to spring a “Wuzhen Declaration” on attendees by slipping a draft under their hotel room doors around midnight and giving an 8 a.m. deadline for suggested changes. The draft resembled far more the official Chinese government line on cyberspace than any triangulated consensus incorporating different views. While some governments who tend to agree with their Chinese counterparts do voice their views in sub-events or closing ceremonies, the WIC is primarily about China’s achievements in technology and the cyber domain, as well as its efforts along the “Belt and Road” and the related slogan, the “Digital Silk Road.” Last year’s WIC featured a hastily convened press conference where an official “‘Belt and Road’ Digital Economy International Cooperation Initiative” was rolled out, with representatives from Egypt, Laos, Saudi Arabia, Serbia, Thailand, Turkey, and the United Arab Emirates endorsing a vague document pledging to support better connectivity and the free flow of data. In sum, the WIC remains unable to live up to its billing as a global conference and remains mired in the perception that it is primarily a platform for Beijing and “like-minded” governments to put forward an alternative narrative on how the Internet should be governed, and to advance China’s concept of cyber and data sovereignty. This year will be no exception, but it also comes in the midst of a growing U.S.–China trade and technology confrontation. Senior Chinese leaders will have another opportunity to exhort the domestic ICT industry to master “core technologies” and put AI at the forefront of the digital economy, but the event will almost certainly continue to fail to live up to its billing.